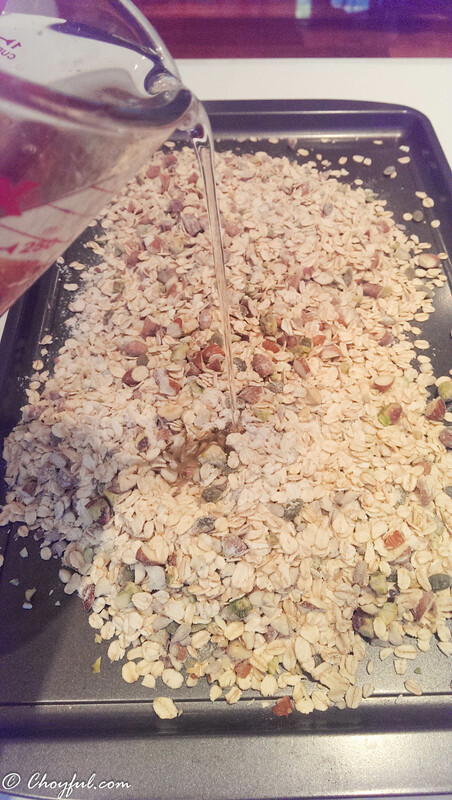 Coconut Oil Granola – Choyful. It has been an atomic bomb of a week at work. 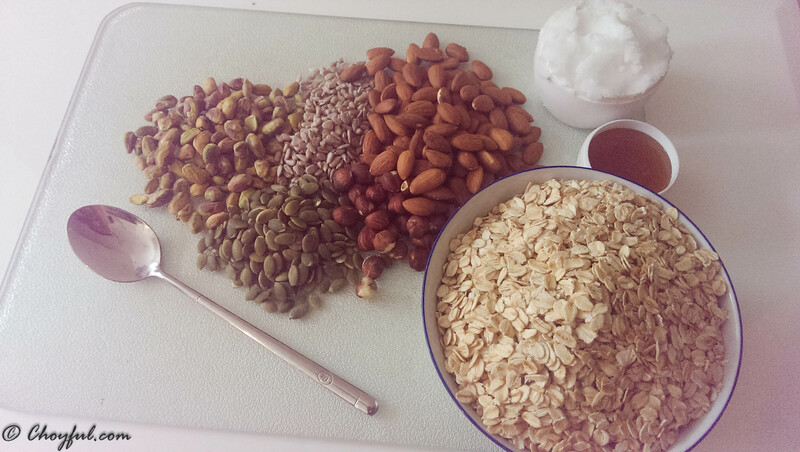 I’m just glad to be home at the end of the week and share with all of you a recipe which is comfort healthy breakfast/morning tea food :D. Okay you can eat it anytime of the day! 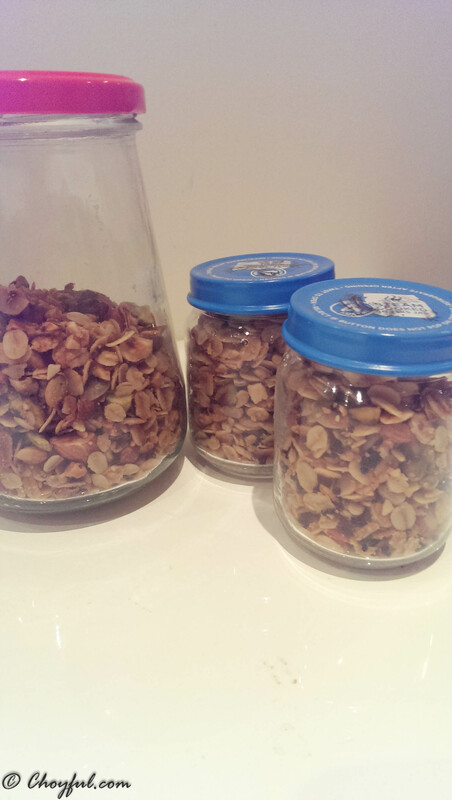 I decided to make this coconut oil granola to thank a colleague. She really encouraged me to hang on at the end of the mini teary session with “Let’s just get you through today.” and really, that was all that I needed to get me through the shift and leave my work brain at work. Sometimes our line of work really pushes you to your limits not just emotionally, but mentally as well. There really are days when you think you won’t make it mentally or emotionally, but I am truly blessed to be able to work with a bunch of women (and man 😛 ) who can empathize and work together to lift each other up and support one another. A little while ago, during some experimentation and exploration of other oils I could use in baking, I came across something called coconut oil. There are many health benefits and uses for coconut oil, which I have yet to try. 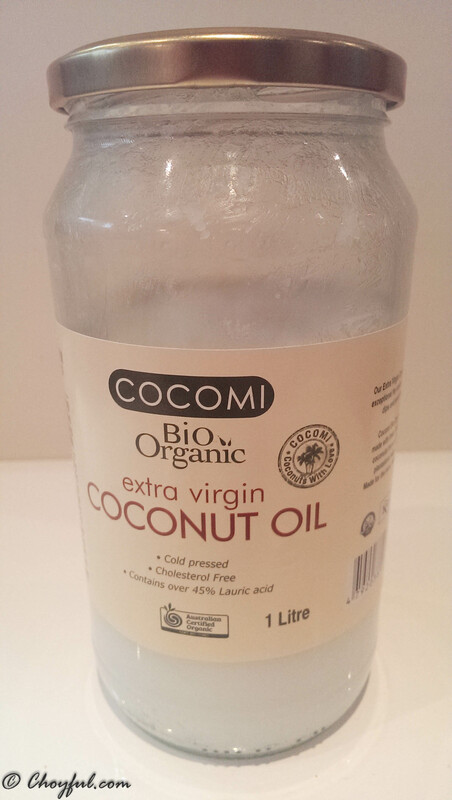 Today I will share with you one of the yummier uses of coconut oil. At that time I didn’t know that the humble local supermarket stocked it in small jars, which I found out after I purchased 1L of this stuff!! From a continental organic grocer in my local shopping center. I bought it and experiemented with a few recipes but they didn’t turn out tasty and yummy enough for me to share. 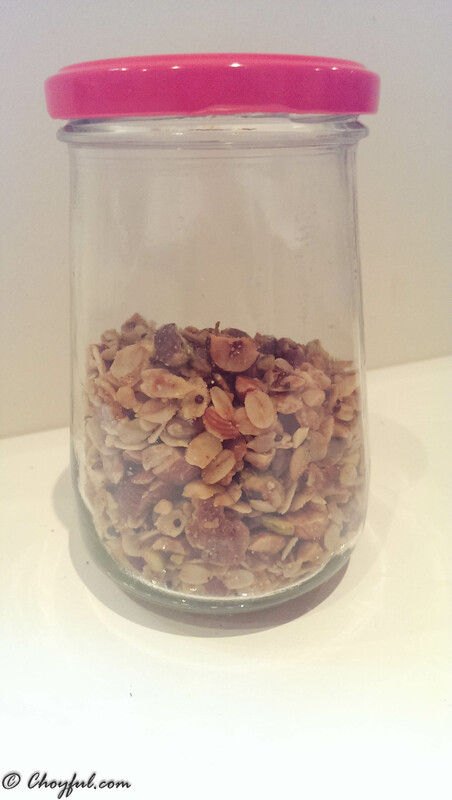 SO, this jar went into the back of my pantry and on occassion I’d use it to stirfry my vegetables (really yummy). 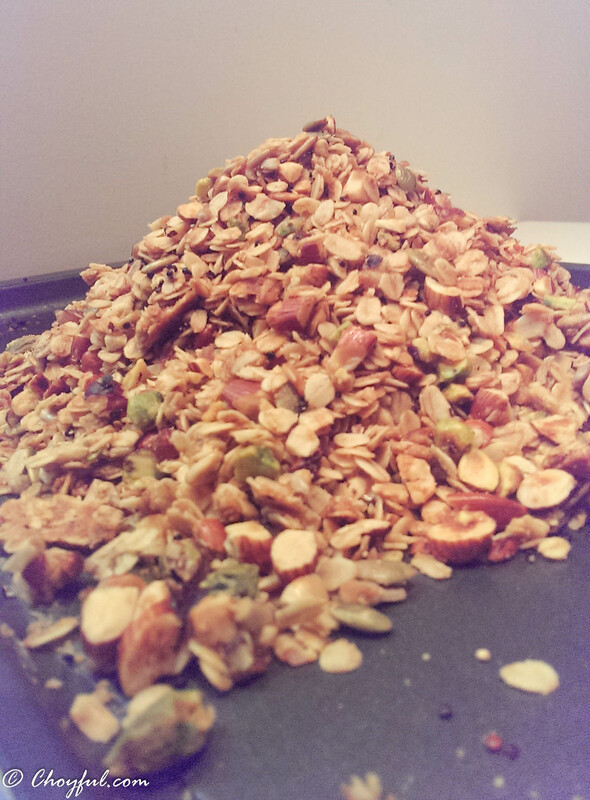 Until I stumbled upon the idea of making my own granola. 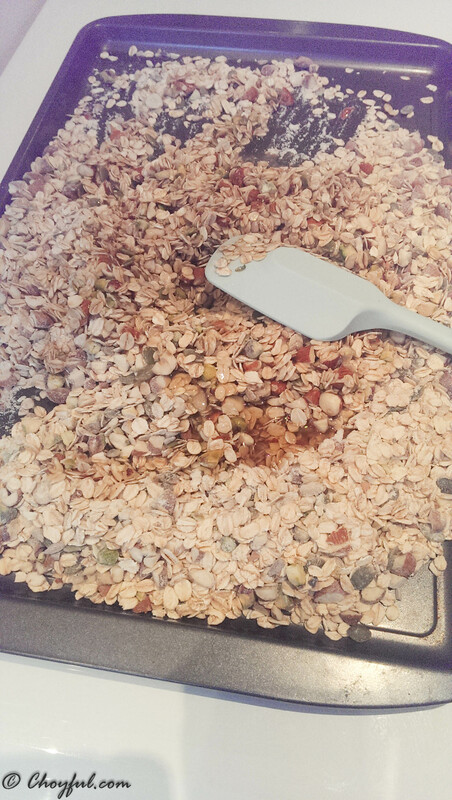 This recipe is super crunchy because of the added flour and coconut oil which “fry” as you slowly roast the granola. My workmate ate almost 2 servings in one go, when she ate it today at work. 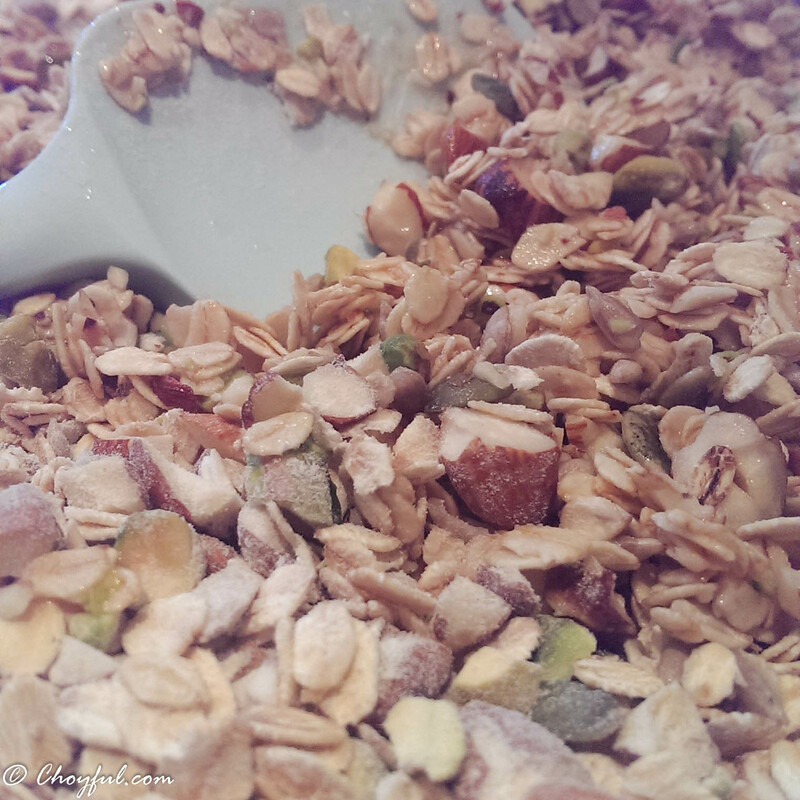 If you prefer to keep your granola gluten levels to the bare minimum, don’t add the flour. 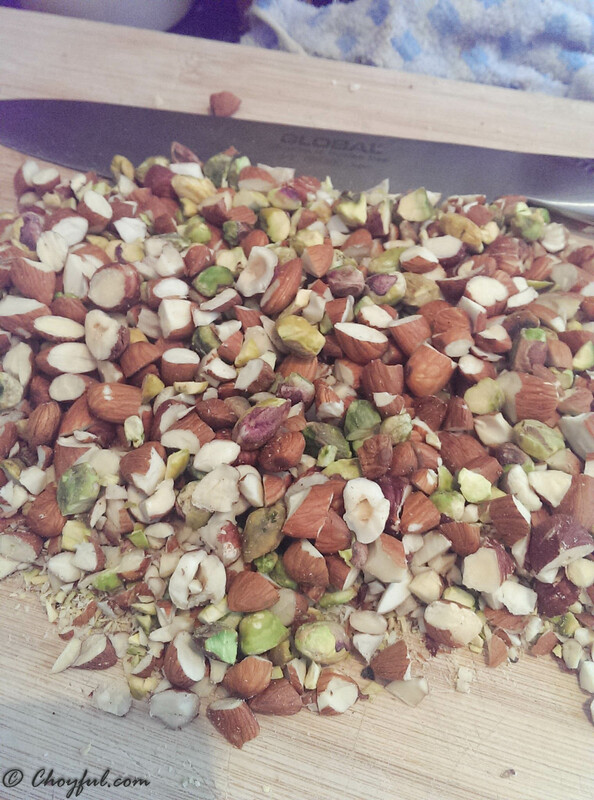 It will still be crunchy, but crunch level may not last as long as if you used flour. 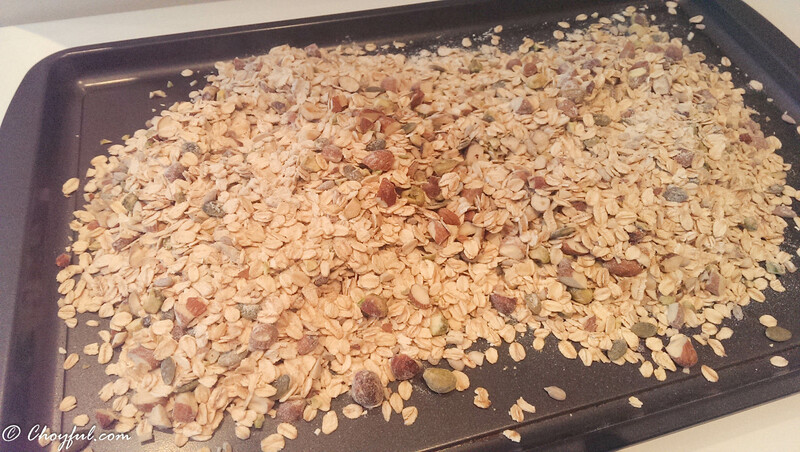 I prefer my granola fruit free, but if you feel like having fruit do replace 1/4 nuts and seeds with dried fruit of your choice in the last 10mins of roasting. 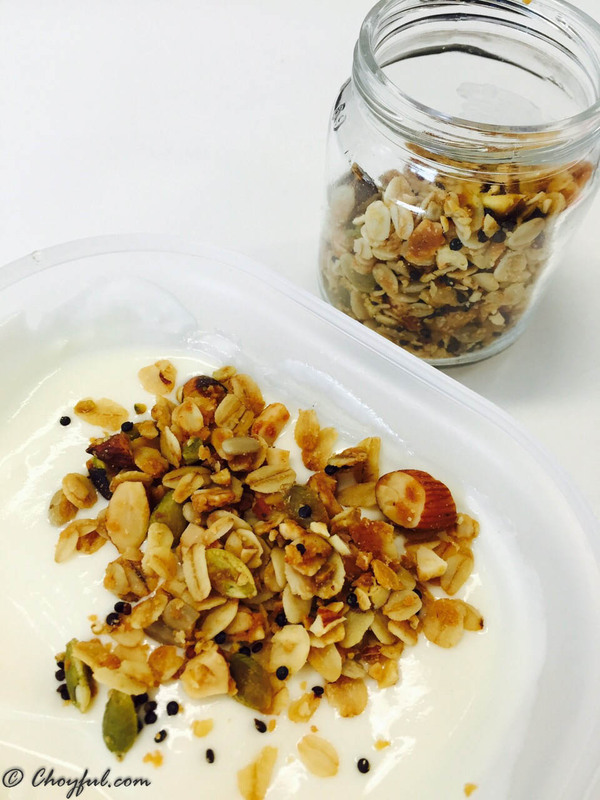 The granola gets crunchy after it is cool, so don’t be disappointed if you don’t get those *crunch* *crunch* noises if you eat it warm/hot.